This post by Mindy Moretti originally appeared in the January 24, 2013 electionlineWeekly. “Our journey is not complete until no citizen is forced to wait for hours to exercise the right to vote.” President Barack Obama, January 21, 2013. 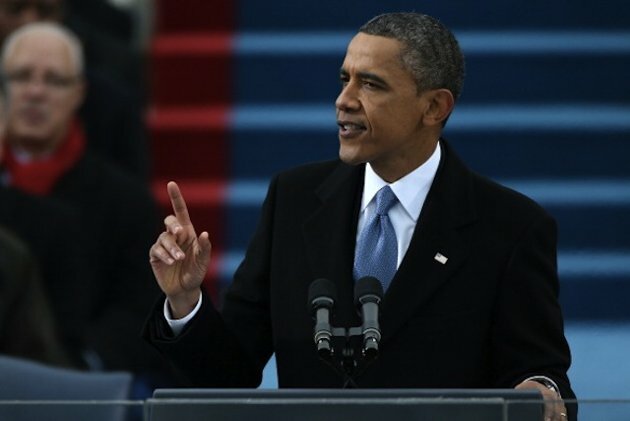 Just like he did on election night, President Obama (D) invoked the need to correct issues faced by some voters on Election Day during his Inaugural address this week. Last week (and this) we took a look at what state legislatures are doing with regard to election administration legislation. This week we’ll see what the U.S. Congress is doing. While a lot of the state-level legislation at this point deals with a variety of election administration issues, much of the federal legislation is directed specifically toward the idea of decreasing lines on Election Day and improving voter access. It’s still very early in the 113th Congress’ term so expect to see even more legislation as time goes by, but this is a quick look of some of the legislation introduced so far (some of it is so new the text of the legislation is not yet on the Library of Congress’ Thomas.gov). Several of these pieces of legislation were introduced very late in the 112th Congress and are now being reintroduced. This week, Sen. Barbara Boxer (D-Calif.) introduced S. 58 that was then referred to the Senate Rules and Administration Committee. Boxer introduced this legislation in the waning days of the 112th Congress, but no action was taken before the end of the session. The LINE Act (The Lines Interfere with National Elections Act) would require the U.S. Attorney general, working with the Election Assistance Commission, to issue new national standards for federal elections by Jan. 1, 2014. The standards would include minimums for numbers of voting machines, poll workers and other elections resources. Rep. George Miller (D. Calif.) reintroduced (H.R. 50) his attempt to fix some of the problems faced on Election Day that focuses on early voting and sufficient resources. Miller’s legislation, The Streamlining and Improving Methods at Polling Locations and Early (SIMPLE) Voting Act, would, among other things, require all states to provide a minimum of 15 days of early voting in federal elections, require states to ensure the resources are available to keep wait times to an hour or less, and require states to have contingency plans should lines appear. Also reintroducing election administration legislation (H.R. 97) in the 113th was Rep. Gerry Connolly (D-Va.). Connolly’s Fair, Accurate, Secure and Timely (FAST) Voting Act would in essence create a “Race to the Top” program for elections that would reward states that aggressively pursue election reform. While Connolly had previously introduced this legislation, he and Elijah Cummings (D-Md.) held a listening session in mid-January to hear from residents in the District, Maryland and Virginia about the problems they faced on Election Day. Rep. Keith Ellison (D-Minn.) introduced H.R. 281, a bill that would prohibit states from requesting photo ID for federal elections. The legislation would also prevent local elections officials from requiring a photo ID at the time of voter registration. Modeling the legislation off a same-day registration law in his home state of Minnesota, Ellison reintroduced H.R. 280 in the 113th. The bill would amend the Help America Vote Act to allow voters in all states to register and vote on the same day for any federal election, either during early voting or on the day of the election. Rep. James P. Moran (D-Va.) introduced the Value Our Time Elections (VOTE) Act. This bill is similar to legislation Moran introduced late in the 112th albeit with a different name. Moran’s legislation (H.R. 289) addresses a host of issues from online voter registration and ability to update voter registration online, automatic voter registration, minimum requirements for voting machines and poll workers in order to decrease wait times at polling places and a minimum number of days (seven) for early voting. Like several of the other bills introduced, the Voter Empowerment Act would allow for online voter registration nationwide, allow for same-day voter registration and set minimum standards for election-day resources including poll workers. The legislation also would create a national voter hotline and reauthorize the U.S. Election Assistance commission. Be the first to comment on "“Our Journey is Not Complete”: Electionline Rounds Up New Election Legislation in 113th Congress"